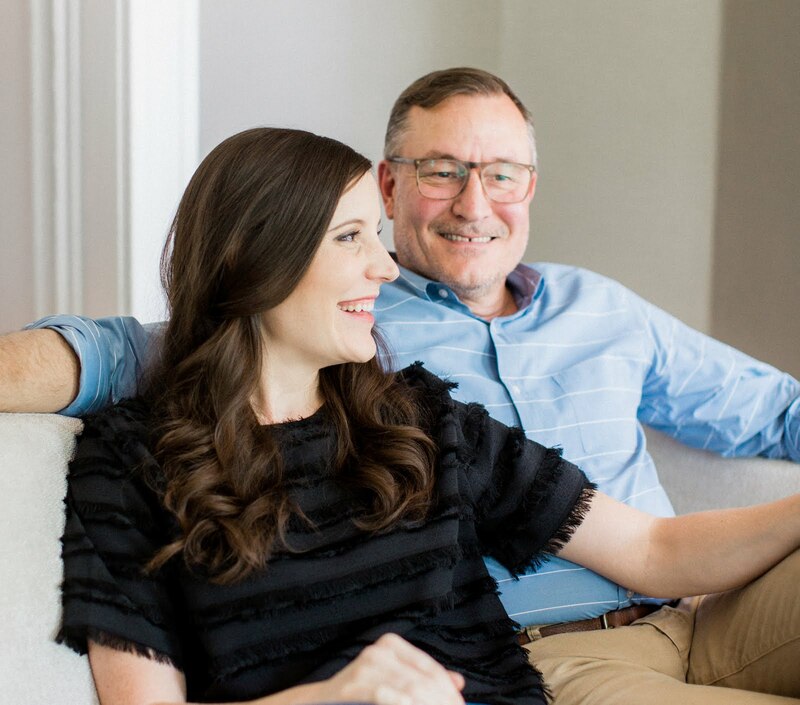 With each year end, we find ourselves wondering how the time flew by and love the chance to look back through each of the adventures, accomplishments and life changes that took place — realizing we really have come a long way over the past 12 months. In keeping with our end of year tradition, we're taking a stroll down memory lane to share a roundup of the most popular posts we published over the past year. 1. 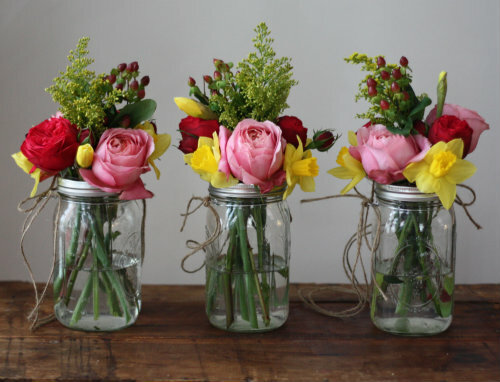 How to Make Hanging Mason Jar Vases. 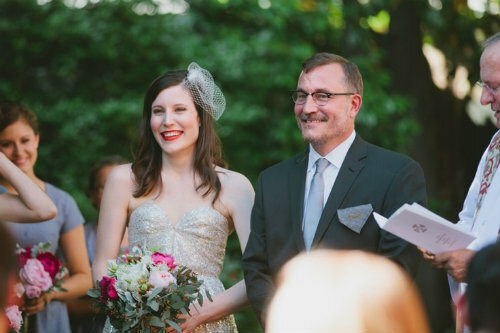 Getting through our wedding this past June was one of our biggest milestones this year. We had a blast incorporating handmade and diy elements throughout our big day, including these hanging mason jar flower vases we used to line the ceremony aisle. We also made gold dipped mason jar vases for the wedding that turned out to be so versatile beyond the wedding, we've kept them and used them around the house as bud vases and floating candle jars around the holidays. 2. 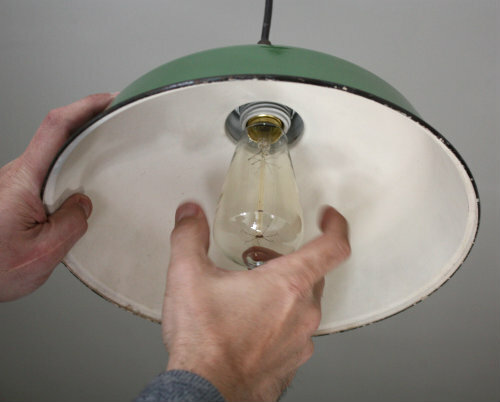 How to Make a Pendant Light. 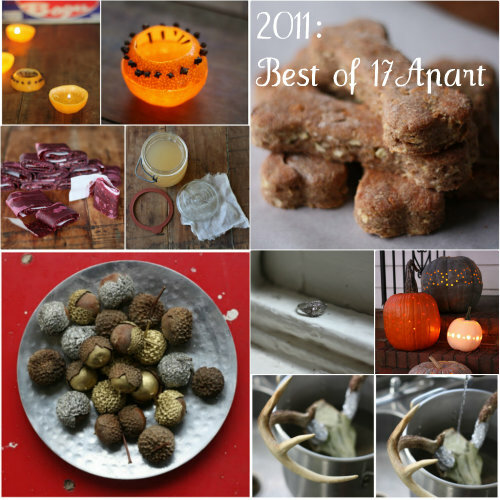 I was pleasantly surprised to see my tutorial for making a simple pendant light was a big hit with you guys this year. Having an electrical background, I wasn't sure it would be something as interesting as it was to us, but we're excited to have made a custom light for the house using an antique shade and are looking forward to tackling more lighting projects over the next year. 3. Secret NYC Jewelry Supply Warehouse. The secret's out! 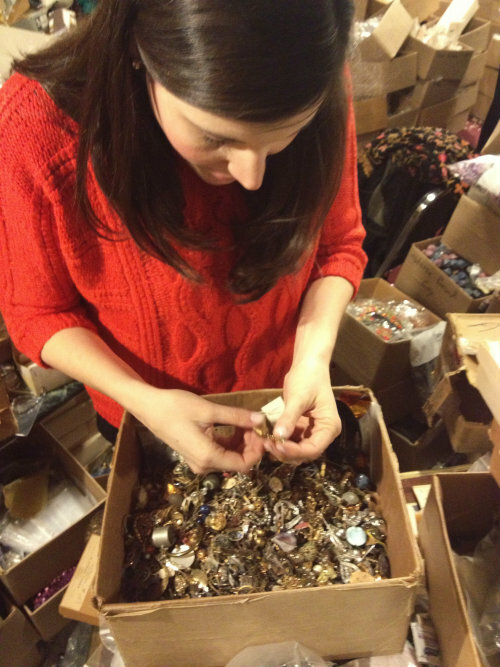 Mary shared one of her favorite jewelry supply warehouses we frequent when in NYC and we've just loved hearing the stories from the visits many of you have made since we published the post. This place is definitely a fun destination to put on the bucket list for any creative folks out there. 4. 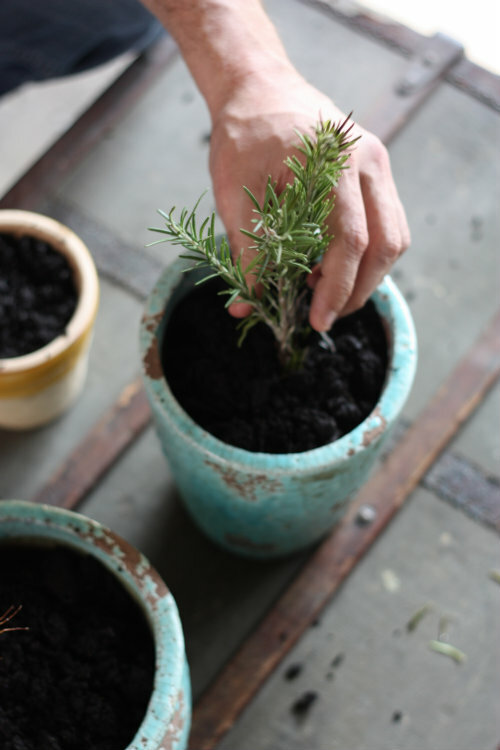 How to Propagate & Regrow Rosemary. 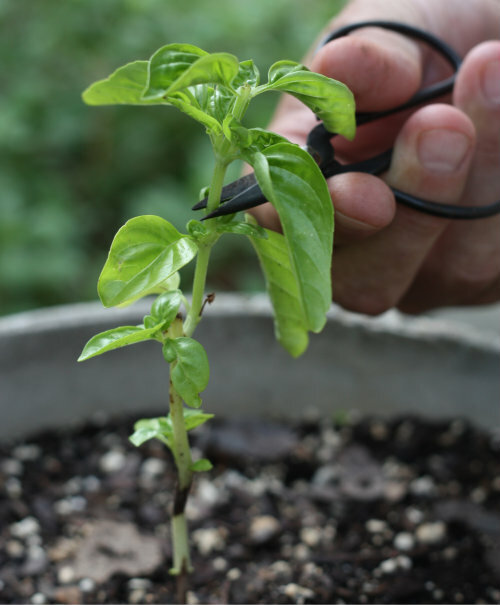 One of our goals for the past year was to try our hands at propagating plants from cuttings. It was a gardening area we'd been intimidated by previously but once we got the hang out it, we couldn't stop! You all seemed to agree, and in fact you will notice that many of our propagation undertakings this year made it into this year's roundup! 5. How to Make a DIY Birdcage Veil. Mary made her own veil for our wedding and loved sharing how she went about it on the blog. It's been such a popular post and we hope it's helped other brides save a little money and make a special heirloom for their own big days. 6. 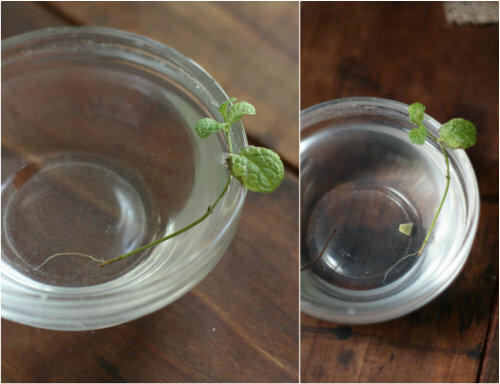 How to Propagate & Regrow Mint. Just as with the rosemary, we experimented with and learned how to regrow mint from cuttings. The mint came from the stragglers on a plant still hanging on this time last year. We were able to regenerate it over the winter and get a strong spring and summer crop. 7. Spent Beer Grain Dog Treats. 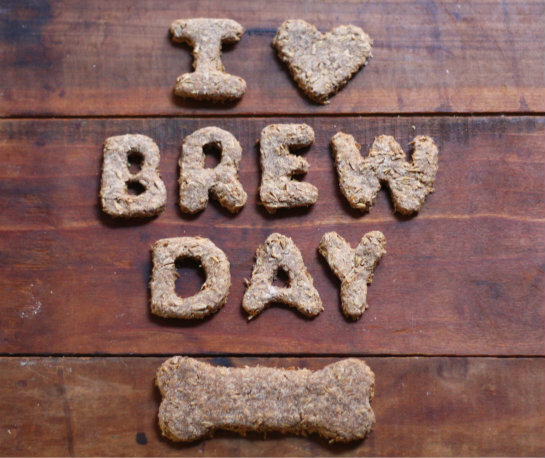 Learning how to make dog treats with the spent beer grains from my buddy, Clay's, latest brew day was a big hit all around — we loved being able to recycled the spent grains, Basil loved getting to sample new treats and you all loved getting a new dog treat recipe for the pups in your lives! 8. 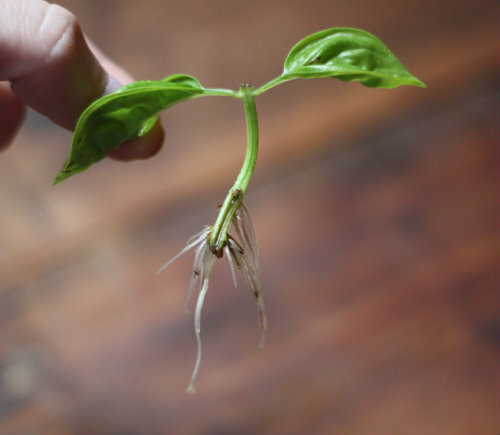 How to Propagate & Regrow Basil. Yep, we regrew basil this year too! 9. Make Giant Art Prints from Your Photos. 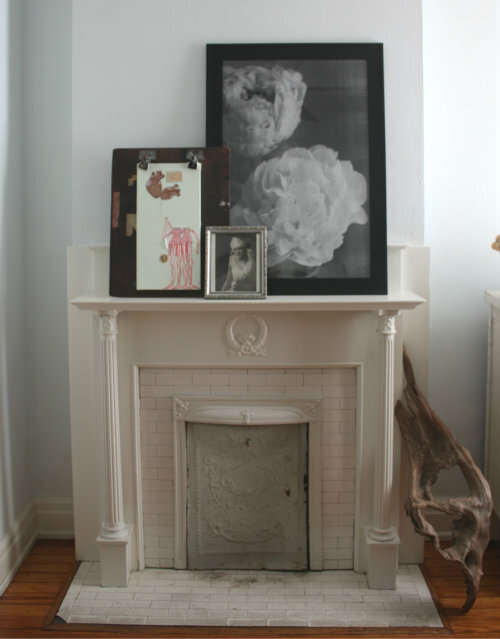 Once Mary learned how to make giant photocopies from our personal photographs at the copy store, we created an instant collection of statement artwork for different areas around the house. The best part is, they are affordable enough to switch out when you're ready for something new. 10. 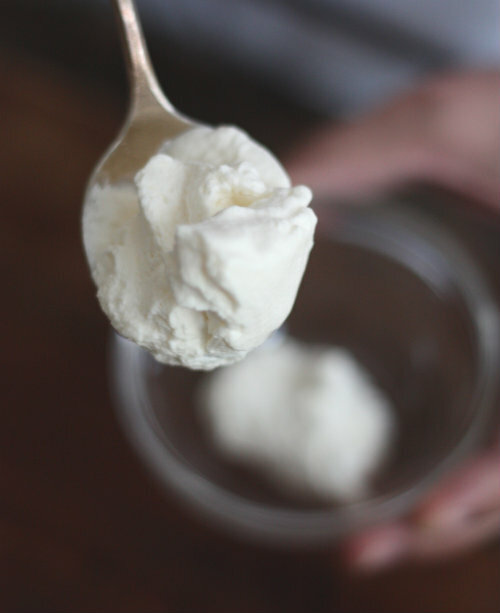 How to Make Whipped Cream from Scratch. Sometimes it's the simple things that make the biggest impact. With a little heavy whipping cream, a touch of sugar and a mixer, it's so easy to make homemade whipped cream — and it's hard to find anything that tastes much better. 11. 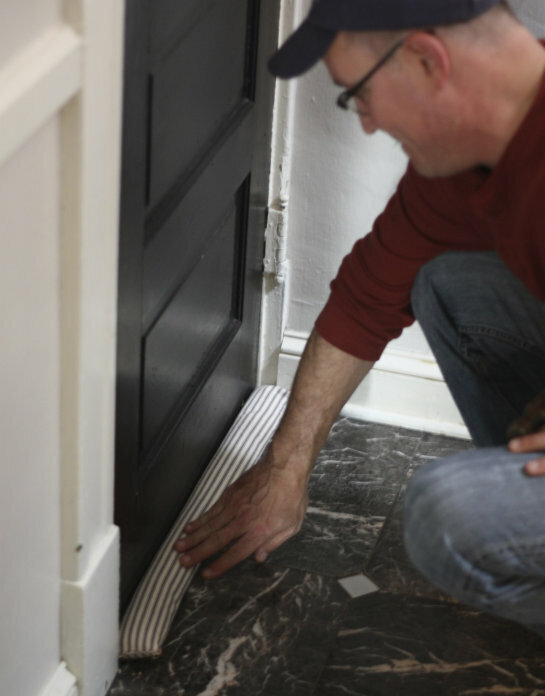 DIY Door Snake Draft Stopper. As the weather got cooler, Mary whipped together a custom door snake with ticking upholstery fabric and rice to help keep the drafts at bay from our doors. We enjoyed chatting in the comments section and on Facebook about what you called "door snakes" when growing up. 12. How to Plant & Grow Horseradish Root. 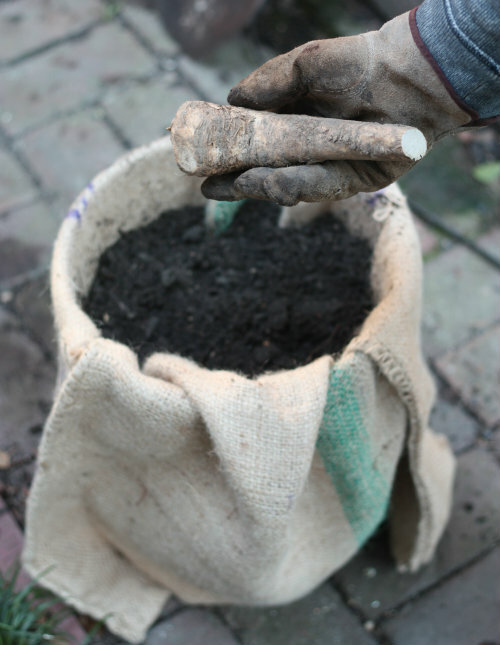 Learning to grow horseradish root was one of our favorite gardening projects this past year. It's an easy plant to tend to and grows tall, impressive leaves. We're looking forward to seeing how this plants grows and changes this season since we've harvested and re-planted it over the fall. 13. Recipe: Mozzarella Caprese Quiche. This fun twist on the traditional mozzarella caprese makes for an inviting breakfast and just looks so pretty too. 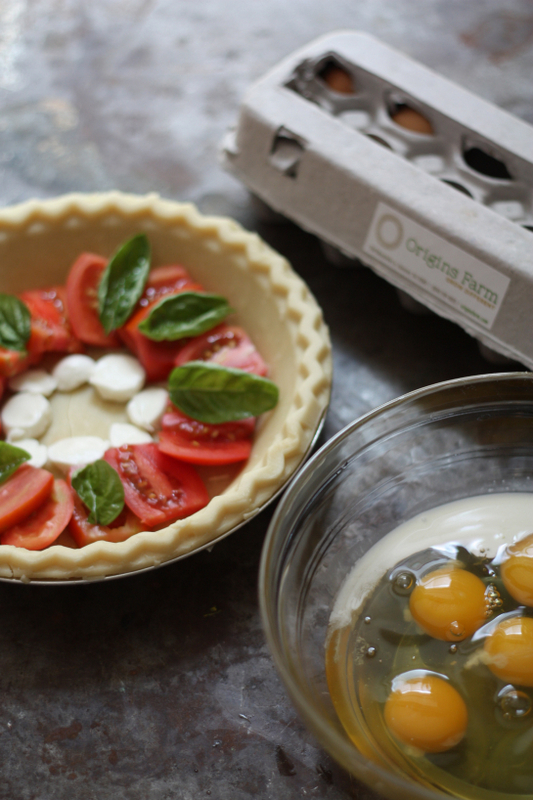 We loved having the opportunity to partner up with Origins Farm this past year to bring a series of recipe posts like this quiche to the blog and it's something we'll be doing again in 2014! Whew, what a year! And this was just the tip of the proverbial iceberg. 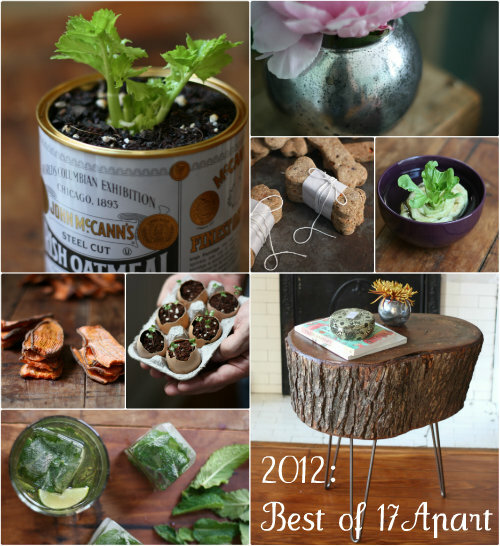 For even more projects, recipes and gardening ventures we tackled over the past year, have a look through our growing archive of DIY content. 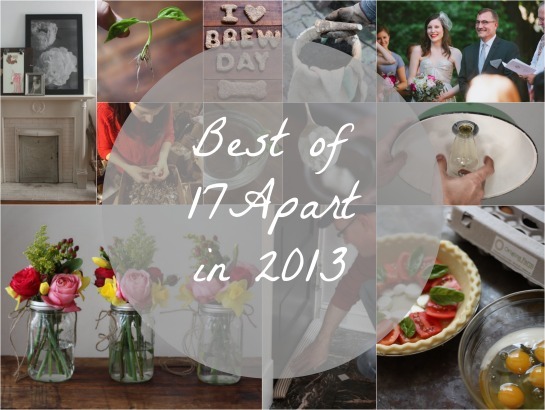 Thanks for helping us look back over the past 12 months at all the fun things we've gotten into. It means so much to us that you follow along and share in our ongoing blogging adventures. This walk down memory lane has been just the right motivation to get us excited for new things to come throughout the year ahead! We can't wait to take on new home projects, diy crafts and get our hands dirty in the garden as the weather warms up this spring. Here's wishing everyone a happy and safe New Year's Eve wherever you might be celebrating!